Kaya Guneri I (formerly Karina) offers a degree of luxury above her peers in the same price range. 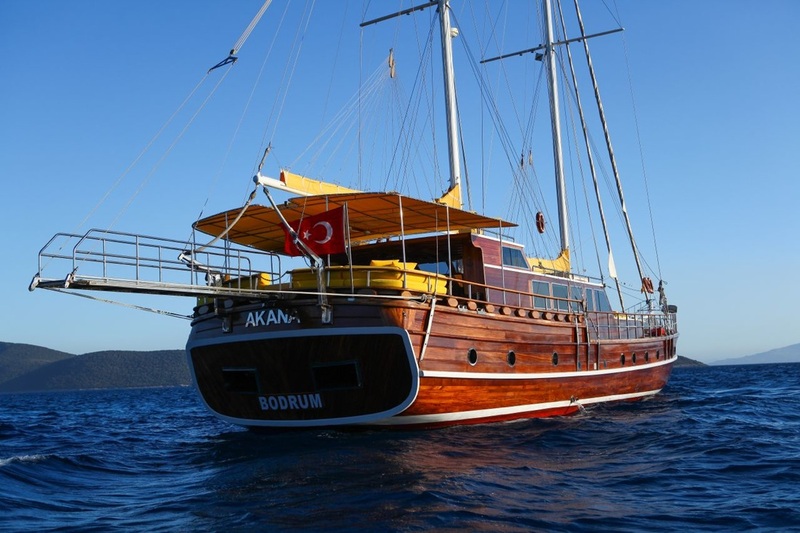 The renowned Kaya Guneri family has provided a complete refit to this 7 cabin gulet, which can take up to 14 guests in Turkish waters and 12 guests in Greek waters. 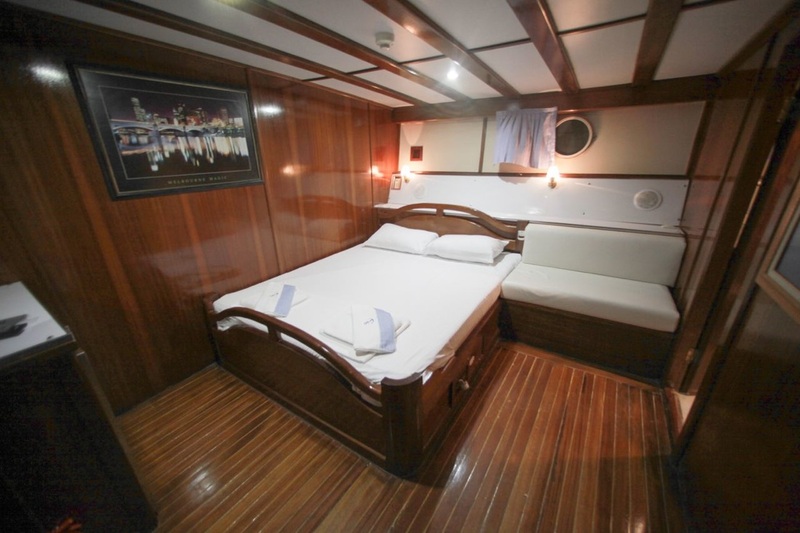 Her flexible sleeping arrangements include an aft master cabin, two double and five triples, all with air conditioning and private bathrooms. 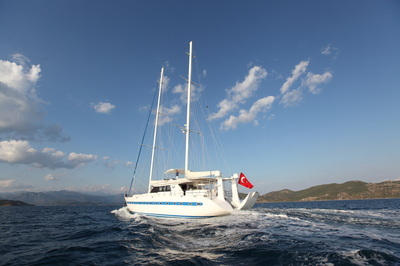 Kaya Guneri I's rates range from 900 to 1650 Euro per day. Piccolo is a standard gulet with part time air conditioning, and where she really delivers is with her crew and service. 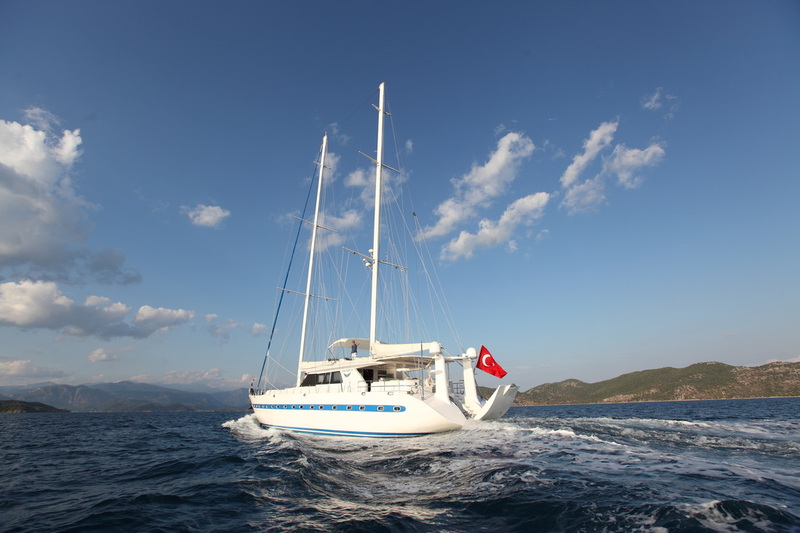 Captain Yilmaz is also the owner, and he has overseen large groups with professionalism and ease, and clients almost always want to take him back home. 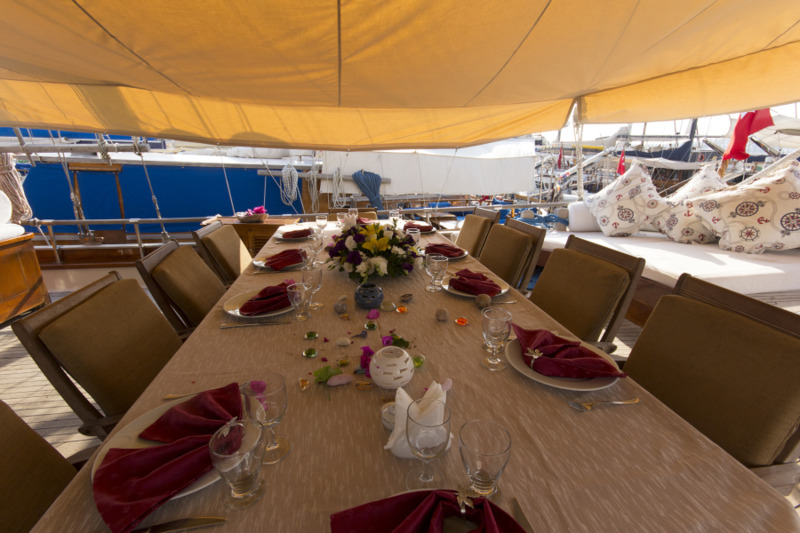 Chef Bekir has been with the gulet for over 10 years, and easily delivers effortless, tasty Mediterranean cuisine to the standard of much more expensive yachts. 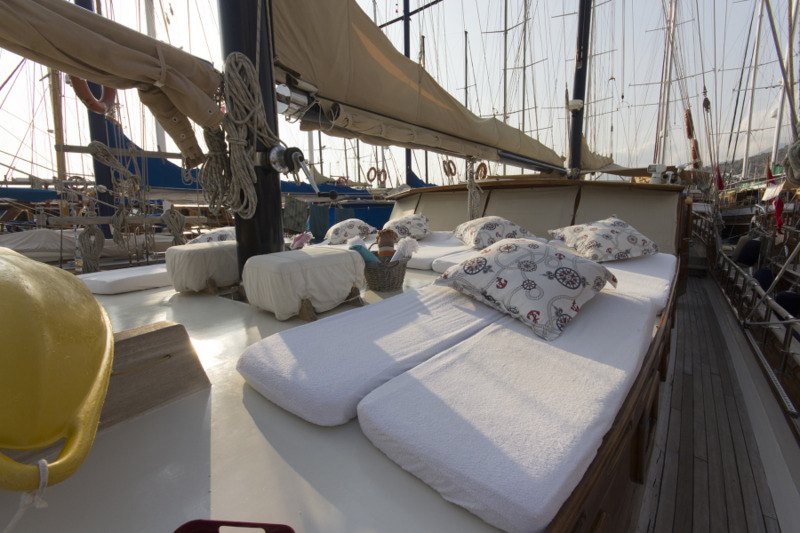 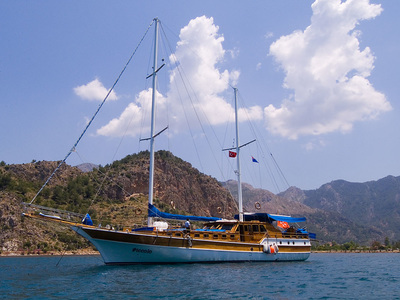 Piccolo has six double and two twin cabins, but she is best considered a 7 cabin gulet. 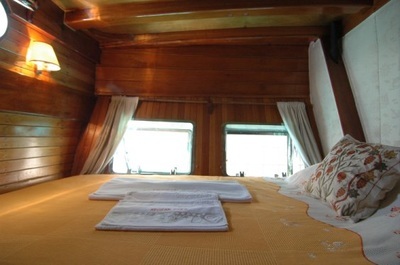 She is comfortable, affordable and amenale. Piccolo's rates are between 1100 and 1700 Euro per day for up to 14 guests. 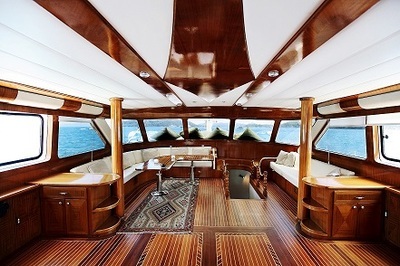 Send me more information on Piccolo. 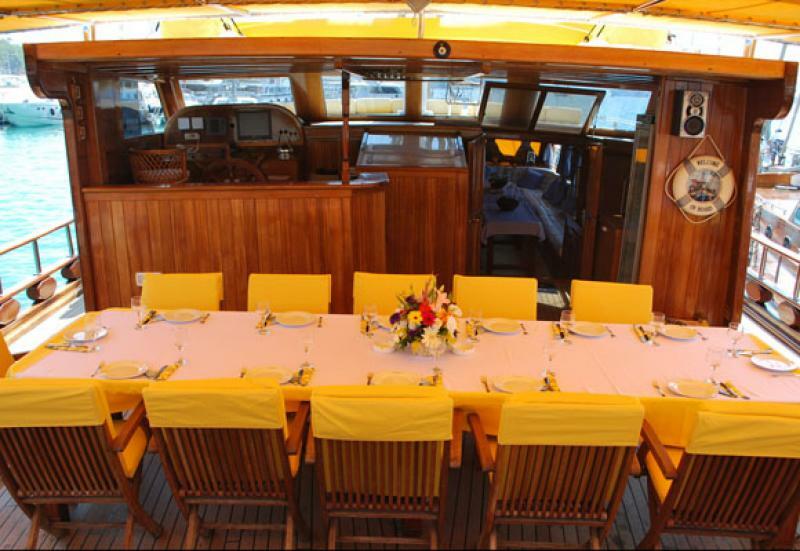 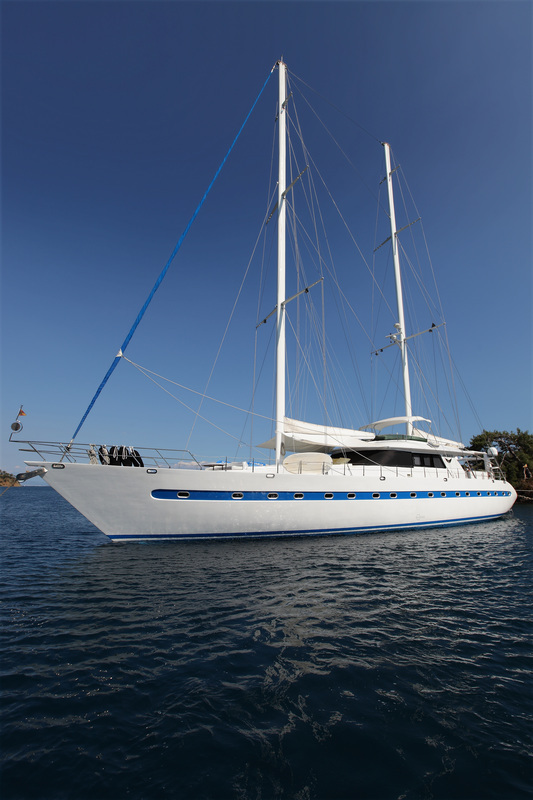 At 32 meters in length, Akana has five double and two twin cabins for up to 14 guests. 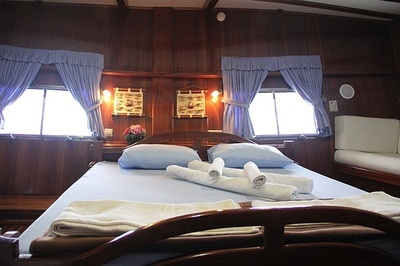 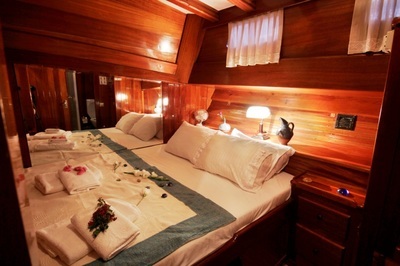 One of the double cabins serves as a master with a queen size bed. 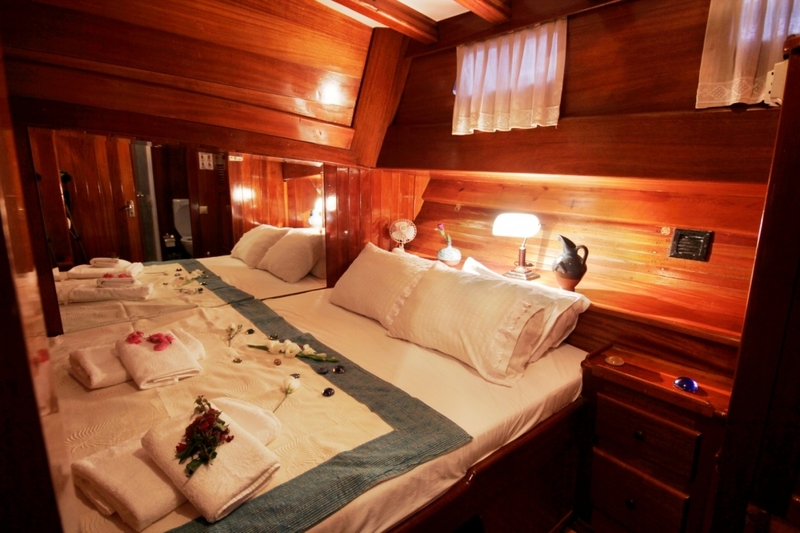 All cabins have ensuite, homestyle bathrooms and showers, and are individually air conditioned. Akana receives excellent reviews from our clients, and she is one of the few gulets who can take guests into Greek and EU waters. 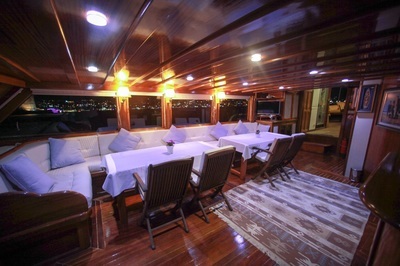 She has a crew of four, and very comfortable indoor and outdoor public areas. The crew have separate facilities. 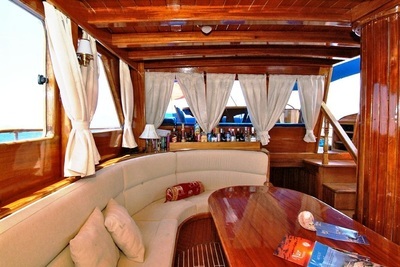 Akana charters for 1800-2600 Euro per day for up to 14 guests. 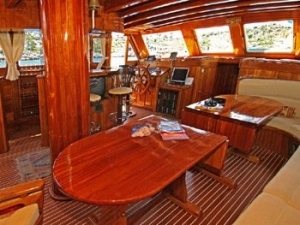 Send me more information on Akana. Angelo II is a very interesting, unusual motor-sailor. 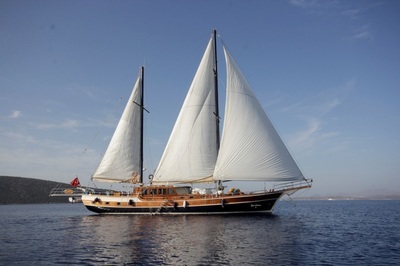 Not quite technically a gulet, she offers great appeal to those who prefer a bit of a sailing yacht experience, but with all the comfort and service of a gulet. 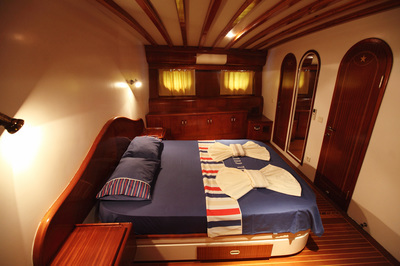 Angelo II is 35 meters long with one master and six double cabins, all with ensuite, homestyle bathrooms. Her last refit was in 2013, and she comes with a crew of 5+1 to oversee all service functions. 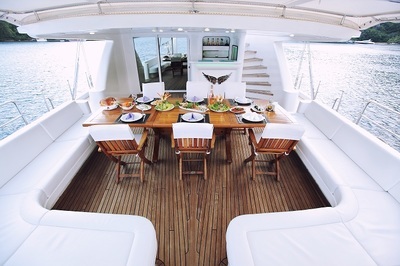 One of her highlights is the flybridge, as well as the forward cocktail seating area. 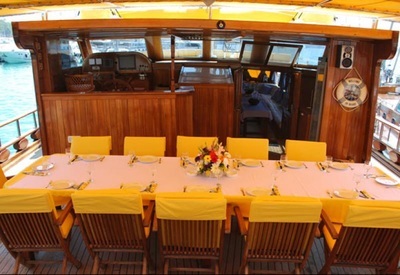 Water toys include a 4.6m tender with 90hp outboard, snorkeling gear, fishing equipment, water ski, kayak, windsurf for both beginner and advanced, as well as a wakeboard and ringo. 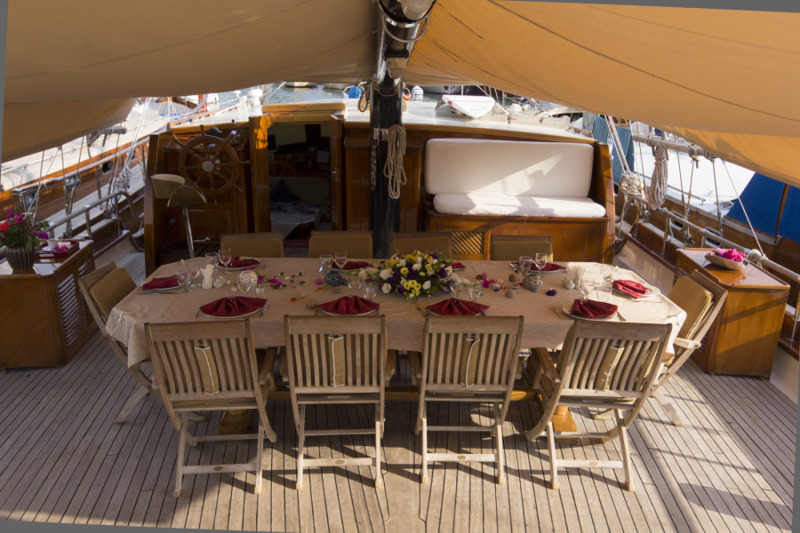 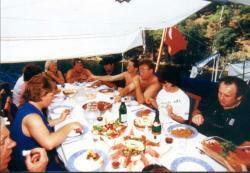 Angelo charters for 2000-2900 Euro per day for up to 14 guests. Send me more information on Angelo.